A Canada-wide warrant has been issued for one of two men wanted for first-degree murder in the shooting death of a Hamilton, Ont., man at a parking lot in Toronto’s north end. Toronto police said Leonard Pinnock, 33, was shot multiple times on April 21 around 9:30 p.m. by two assailants while sitting in the driver’s seat of a parked vehicle on Dufferin Street and Bowie Avenue. 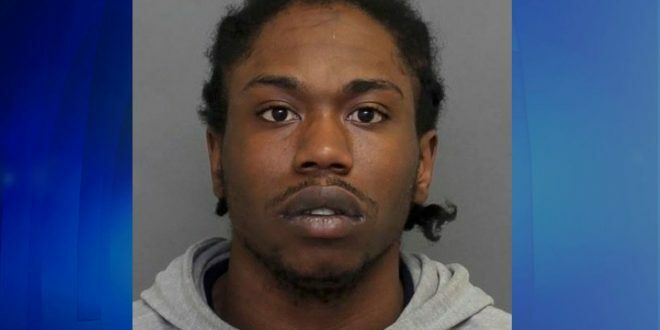 Akil Whyte, 24, from Toronto, is wanted for first-degree murder. He is considered armed and dangerous. At a news conference on Monday, Det.-Sgt. Joyce Schertzer said Whyte is also wanted for conspiracy to commit an indictable offence, specifically trafficking cocaine – a charge stemming from another police investigation. In May, police released surveillance video showing the two suspects. Police are still trying to identify the second suspect. At the time, investigators said they believe this was a random attack, adding there was nothing to suggest in Pinnock’s background that would provide a motive for the shooting. Anyone with information is asked to contact police at 416-808-7400 or Crime Stoppers anonymously at 416-222-TIPS (8477).